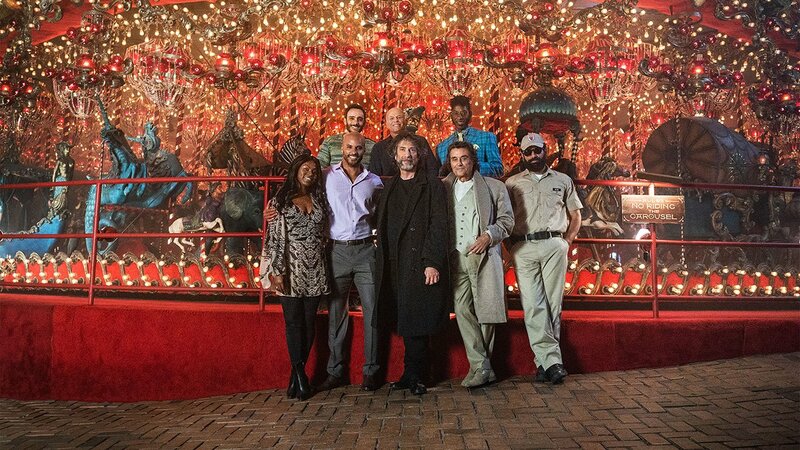 Despite all reported problems, the second season of American Gods has started filming. From the loss of the showrunners Bryan Fuller and Michael Green to star Gillian Anderson, the Season two of American Gods has had its share of problems leading up to this moment. But with the appointment of Jesse Alexander as the new Showrunner, things seem to be back on track. Today, Niel Gaiman took to Twitter to reveal the new footage of the production, along with a cast photo, featuring Niel Gaiman front and center. The release of the trailer also gives eager fans a date for when they should tune into the new season. Premiering on Amazon Prime in Canada, and Starz in the US, the new series is set to launch in 2019. Based on the best selling book by Niel Gaiman of the same name, American Gods stars Ricky Whittle (Austenland) as protagonist ex-con Shadow Moon, Ian McShane (Deadwood) as Mr. Wednesday, and Emily Browning (Sucker Punch) as Shadow’s wife, Laura Moon. It also will see the return of Mad Sweeney played by Pablo Schreiber, a Canadian actor known for his work on 13 Hours and Orange Is the New Black. The second season of American Gods is set to film on location in Toronto for some of the production. Season one of American Gods is currently available for streaming in Canada via Amazon Prime, with season two releasing some time in 2019.